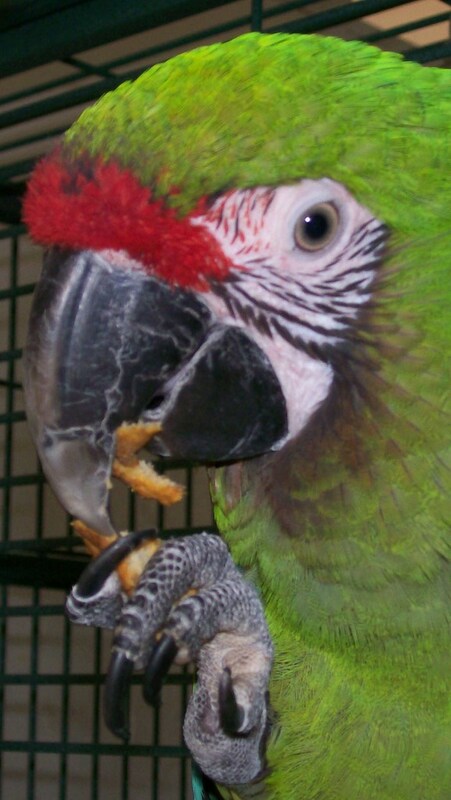 The Southern Nevada Parrot Rescue & Rehoming Society works with parrots only. Though we have many fine parrots available for adoption, we are not accepting any new intakes at this time. Please do not leave any rehoming-related messages on our main number, as such calls will not be returned. The best contact is through email. Potential adopters are specifically encouraged to join the organization and to submit an adoption form, so that we may conduct a home visit and initiate the adoption process. Thank you! The Southern Nevada Parrot Education Rescue & Rehoming Society (SNPERRS) is a NonProfit organization that is tax exempt under Section 501(c)3 of the Internal Revenue Service Code. It is managed and operated totally by Volunteers. Our members realize that there are many reasons why someone may need to give up a pet bird for rehoming; circumstances change for everyone and simply selling a beloved pet is not an option for many owners. We are a caring alternative to selling a loved pet to a stranger. Giving up a bird is never easy, and the decision must be given a lot of thought. But when a new home is the best option for your bird, the next step is to fill out our donation form. ​This form is designed to give the program director valuable information toward the best possible placement for your bird. We understand that you are concerned about your bird's future welfare. We share your concern and the more information we get about your bird's habits, likes and dislikes, the easier it will be for the bird to make adjustments in his/her new environment. SNPERRS relies completely on Volunteers to care for parrots waiting to be adopted. Find out how you can become a SNPERRS Foster home or volunteer for other tasks even if you aren't able to take birds in. The SNPERRS rehoming program includes exotic pet birds (parrots) only. We do not conduct rescue/rehoming for protected native species or introduced birds, including pigeons, starlings, or house sparrows. If you have a concern relative to a wild or introduced species, please contact "The Wild Wing Project", the U.S. Fish & Wildlife Service or the Nevada Department of Wildlife. ​​Your cooperation will help ensure that SNPERRS can continue to focus on what it does best. Thank You! A major part of SNPERRS success comes from the support of people like you! Please consider making a donation today to help support the medical needs and day to day expenses involved in the care and feeding of these beautiful intelligent parrots. Everything needed to maintain the success of the rescue is done by volunteers. From fostering donated birds, to transporting cages or just talking to people in the community about what we do and the great need for ​caring people and loving homes. Please consider donating your time to help, or make a monetary donation if you are able. You will have our sincerest thanks for your generosity and concern. ​When you use Amazon Smiles you will be supporting us two ways - through your donation of items from our wish list and through the money we will receive as a result of your purchase at Amazon Smiles. Before you do all your holiday and regular shopping at Amazon Smiles, make sure you register your charity as 'The Southern Nevada Parrot Education Rescue & Rehoming Society' to support SNPERRS every time you shop! Need help with a 'Birdy' Problem? Contact us via email and one of our members who is a 'Birdy' expert will get back with you. ​It is not only fine feathers that make fine birds. © Copyright SNPERRS 2018. All Rights Reserved.